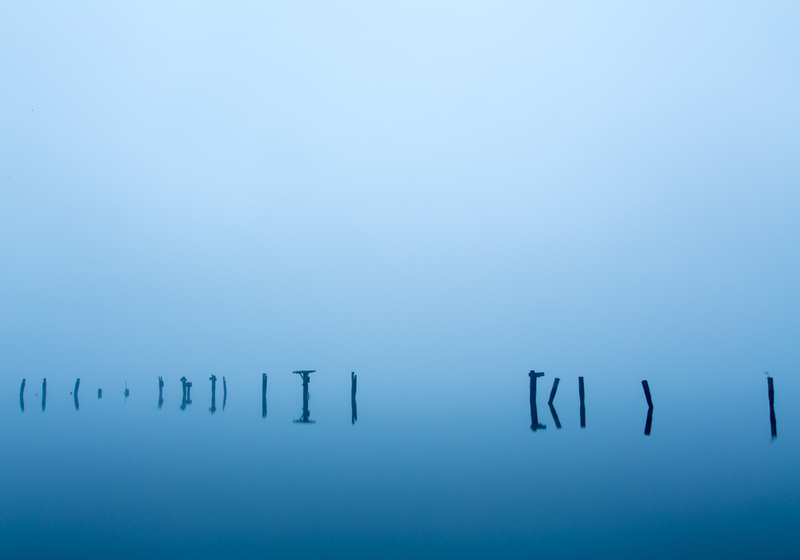 Continuing with Sunday's foggy morning post, here's an image of the Potomac River on another foggy morning. This is a set of pylons near the fishing pier at Leesylvania State Park in Virginia. I was going for more of an abstract image in this one by lining up the pylons horizontally and not including any references to where they're at or even what they really are. I also increased the blue saturation to get further away from a realistic photo.